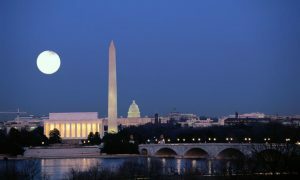 Join the Geneva Historical Society and First Choice Travel for two unique excursions in 2018 –a day trip to the 1000 Islands (July 12) and a three day bus trip to Washington, D.C. (September 27-29). The day trip to the 1000 Islands will begin with free time in Alexandria Bay followed by a lunch cruise on the St. Lawrence River with Uncle Sam Boat Tours . 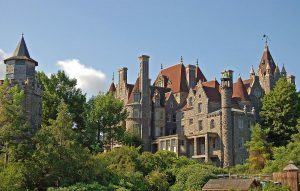 At the end of the cruise we will disembark at Heart Island and enjoy a self-guided tour of Boldt Castle. The cost is $135 per person and includes motor coach transportation, tour manager, lunch, all admissions, and driver’s gratuity. Payment in full is due by May 4. Make checks payable to: 1st Choice Educational Tours. The bus will leave from the Town and Country Plaza on July 12 at 7:45 a.m. and will turn to Geneva around 9 p.m.
Activities for the Washington DC trip include tours of the Gettysburg National Military Park Museum and Visitor Center, Gettysburg Battlefield, Ford’s Theater, Lincoln’s Cottage, Library of Congress, and Mount Vernon. There will be substantial walking during the trip. The cost for the trip is $579 per person double occupancy. A $179 deposit due on April 13. A second payment of $200 is due by June 1 and a final payment based on hotel occupancy is due on August 3. Make checks payable to: 1st Choice Educational Tours. The three-day trip includes motor coach transportation, tour manager, two nights’ accommodations, two breakfasts, two dinners and all admissions. On September 27 the bus will leave from the Town and Country Plaza at 6:00 a.m. and will turn to Geneva around 10:00 p.m. on September 29. A minimum number of participants are required for both trips to run and seating is limited. For more information or reservations, contact Kerry Lippincott at 315-789-5151 or director@genevahistoricalsociety.com.